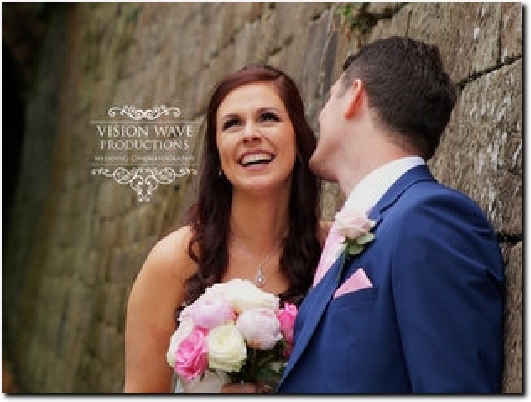 At Vision Wave Weddings I understand just how important your wedding day is. I am here to help capture the big day so that it can be remembered, exactly how it was, for years to come. On your wedding day the things you remember aren"t just the dress, the first dance, the cake cutting. You"ll remember the look on his face as you walked down the aisle, your father"s grasp on your arm as he gives you away, every subtle little detail. I will capture all of these moments as they unfold, naturally, so your story is told as it should be. Being based in Staffordshire gives me fantastic access for weddings in Shropshire, Cheshire and Derbyshire. I"ve had the pleasure of working at many amazing venues that these areas have to offer The Ashes, Pendrell Hall, Sandhole Oak Barn and The Heath House, just to name a few. Head over to the gallery on my website to see the latest highlight videos. A Staffordshire-based wedding videographer with a BSc in Film Production Technology, also covering Shropshire, Derbyshire and Cheshire. The Video Gallery tab lets you access clips of previously-filmed weddings while Packages gives a starting price and details of what is included in the three options. Contact Us has an enquiry form and phone and e-mail details. The business address can be found at the foot of each page.